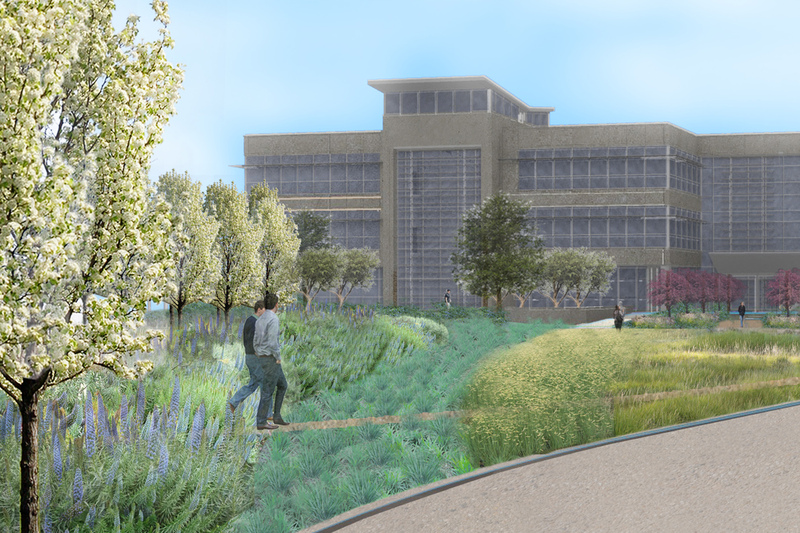 PB&Co is working with Logix Federal Credit Union on the planning and design of the company’s new Corporate Headquarters. This ground-up, multi-phased campus effort was initiated by the company’s move from Burbank, CA and a desire to provide high-quality spaces that facilitate employee health and wellbeing. 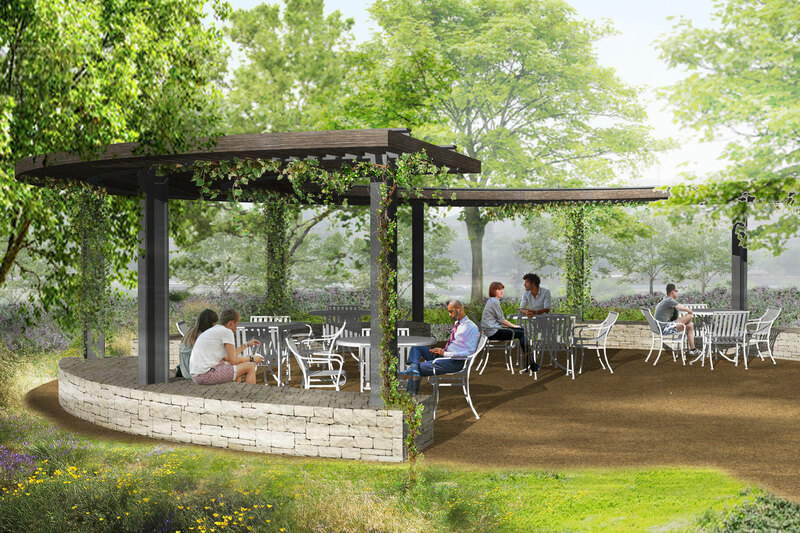 PB&Co’s design provides a cohesive, secure, sustainably-focused landscape that offers employees diverse opportunities for recreation, gathering and socializing. 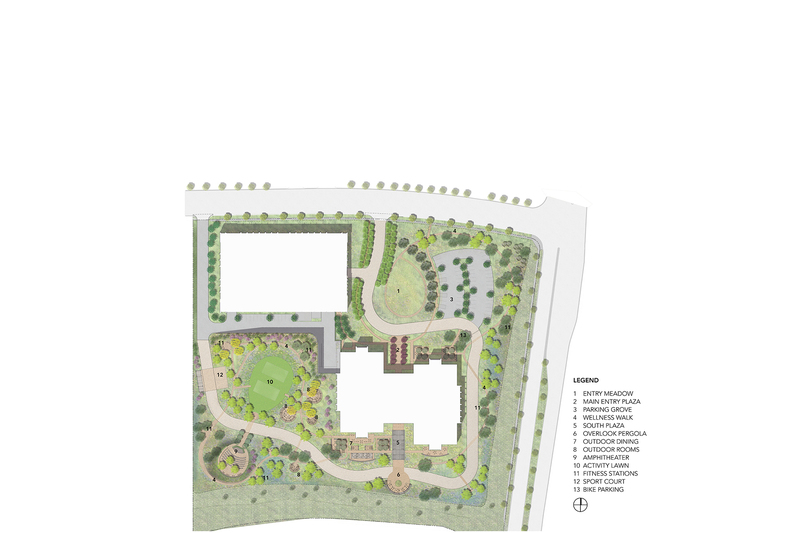 Walking/jogging paths are supplemented by a health circuit along the paths and basketball/volleyball courts. 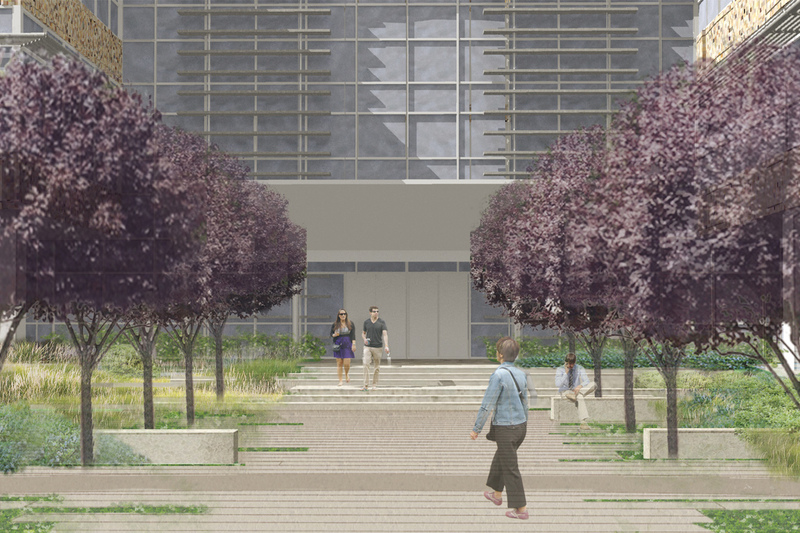 A large lawn space will support daily yoga classes, clinics and outdoor workplace meetings while a gathering space with fixed and moveable seating and food prep cooking stations, fire pits, and other amenities serve social and work-related functions. An amphitheater accommodates outdoor evening community gatherings and events, and lunchtime or after work outdoor performances for employees. Enhancing these areas is a primarily native plant palette that is seasonally organized to meet fuel modification requirements and environmental requirements.